Electronic design automation market is anticipated to register quite an appreciable growth rate in the forthcoming years on account of the rising adoption of System-on-Chip (SoC) technology. 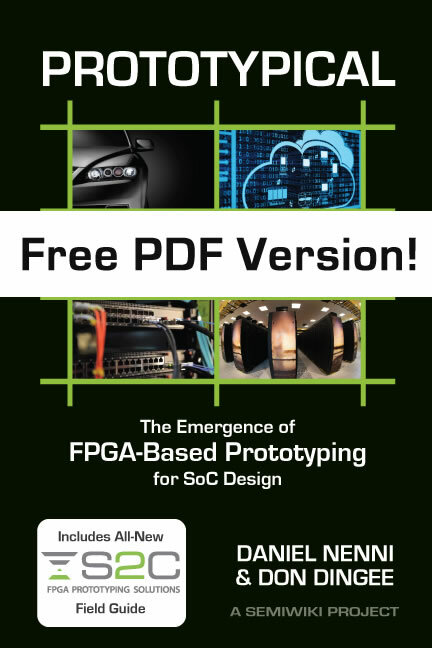 In the era of the evolving electronic industry, electronic design automation (EDA) market has come to play an increasingly pivotal role. This can be specifically justified with the major developments in the submicron technologies that have made it possible to incorporate 100 million gates on a chip and clock frequencies over 1GHz. 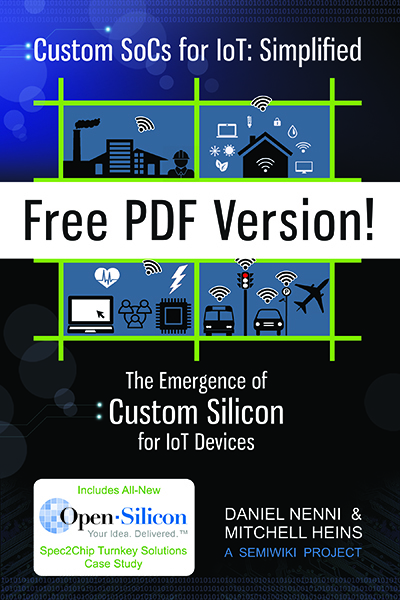 The expansive growth of the semiconductor and IoT sectors is also slated to bring forth viable growth avenues for EDA industry, as the time to volume ratio of new electronic products has been drastically reduced. For instance, while it took the color television industry 10 years to reach maturity, the mobile phone industry reached maturity within just 2 years of the product’s introduction. As semiconductor manufacturers continue to enhance production processes and new device manufacturing processes, EDA market is likely to witness increased profits. EDA industry has depicted a considerable leap in the last couple of decade, if the technological perspective is considered. With the constant flow of innovation in the integrated circuit market, engineers have been striving to derive methodologies that help increase productivity to meet the current tight time-to-market window. For instance, the exponential rise in the adoption of consumer electronics such as smartphones, laptops and wearable devices has led to the adoption of the popular Semiconductor Intellectual Property (SiP) technology in the electronic design automation market. Driven by the widespread development of IoT and 4G networks, SiP EDA industry is likely to depict a profitable growth trend in the years ahead. The increasing complexity and improvement in the functionality of consumer electronics devices has also resulted in the rising intricacy in chip designs, further fueling EDA industry. The telecommunication industry has been heavily influencing the growth of electronic design automation market, driven by the increased use of testing tools and the consistent delivery of seamless communication services. The launch of long term evolution technology especially in countries such as China and India has also added an unprecedented stimulus to mobile devices market. In consequence, this has effectively augmented the revenue graph of electronic design automation industry, especially across the Asia Pacific region. Speaking along similar lines, it is imperative to state that in terms of the regional perspective, Asia Pacific electronic design automation market is expected to witness commendable growth over the forthcoming years. This progress can be chiefly attributed to the prevalence of a considerable number of lifestyle electronics manufacturers and smartphone consumers. 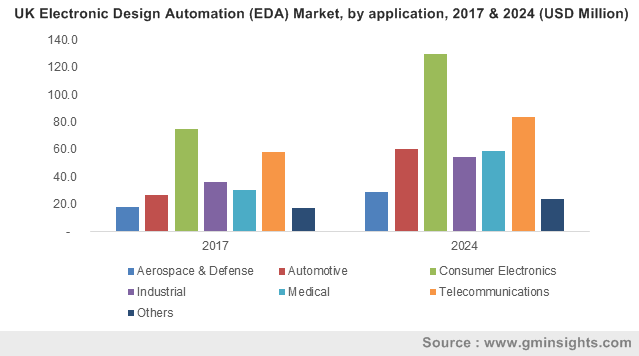 The increased penetration of broadband and the rise of IoT are also certain to contribute their bit toward driving the regional electronic design automation market share over 2017-2024. Furthermore, the region encompasses an abundance of raw materials and also possesses the advantage of low cost labor. Tech-savvy consumers with increasing disposable incomes would be primarily driving the semiconductor industry in Asia Pacific. In consequence, this trend is likely to impact APAC electronic design automation market. 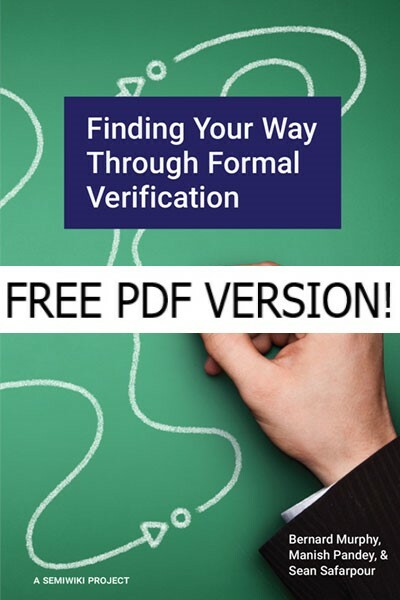 Prior to the technological enhancements in electronics devices, process engineers could easily verify and pass on a technology to the manufacturing units and start working on new process design kits. But with the progress in scaling and the rising complexity in process technology, designers and engineers have had to forgo such sequential work. Plausibly on these grounds, the idea of feeding design information back into technology was conceived. Electronic design automation market signifies the easy facilitation between design and technology as novel developments in electronic design automation flow evaluate technology and design in software, thus saving time and money. The semiconductor industry has lately been experiencing a slight slump on account of the hindrances caused by weak global economy. Indeed, the economic situation has discouraged leading semiconductor companies from investing in research and development of electronic design automation. Nonetheless, despite constraints, electronic design automation market is still expected to witness a positive growth map ahead. As the global economic situation steadies itself, electronic design automation industry will witness a transformation of sorts and surpass $14 billion by 2024. Last edited by Daniel Nenni; 06-09-2018 at 11:18 AM. I'm very curious to learn what your source is for the UK EDA Market numbers. In the US we have Gary Smith EDA that produces EDA revenue numbers and then the ESD Alliance. In the past EDA and other companies were more open about their numbers, back in the Dataquest and Gartner era, but no more. Nowadays it is scraping the internet and financial filings and making up numbers to suit your target customers. ARM and Mentor have made it even harder since they are now part of much larger companies that don't have to report smaller numbers. It is the same in the foundry business with Intel and Samsung. Just my opinion of course but these reports are to be taken with a very large grain of salt. Last edited by Daniel Nenni; 06-09-2018 at 05:34 PM. Yes, that was my hunch as well, I just wanted to hear the spin from "Insights". Who knows, maybe they have a new revenue gathering method.